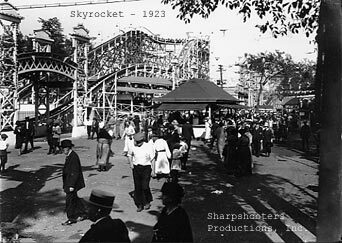 Riverview continued to roar throughout the Roaring Twenties. 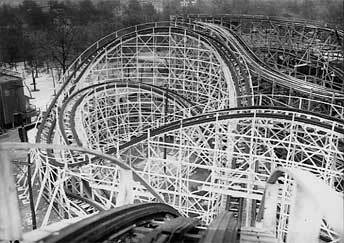 No less than FIVE additional coasters were built in this decade. 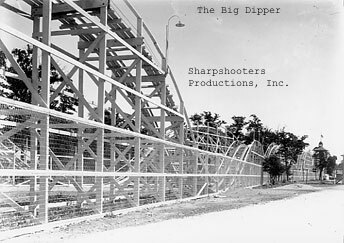 The first was the Big Dipper (aka Zephyr & Comet) in 1920, the Pippin (aka Silver Flash or Flash) in 1921, the Skyrocket (aka Blue Streak & Fireball) in 1923, the Bobs in 1924, and finally the Kiddie Bobs in 1926! 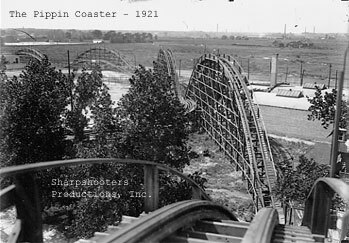 With the building of the Kiddie Bobs in 1926, Riverview would build its last coaster of the twenties. 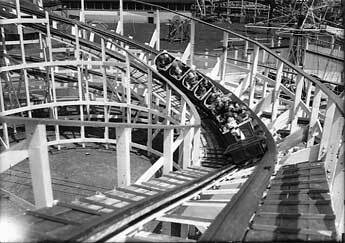 After the Great Depression began in 1929, Riverview would be unable to afford a new coaster. It would have to purchase one used in the thirties.